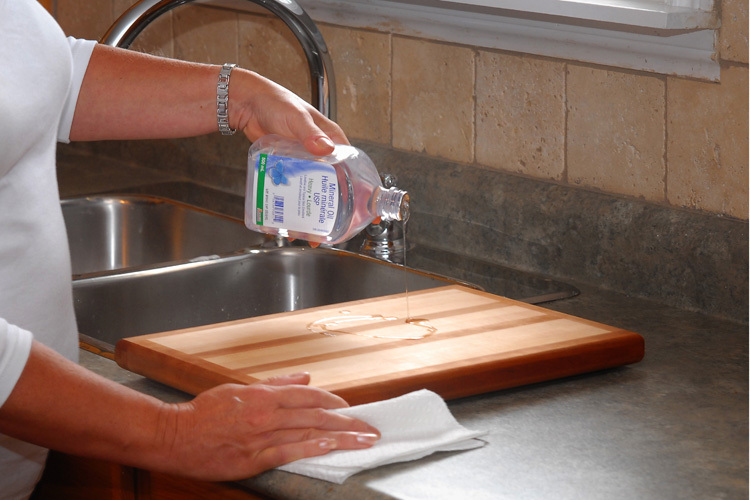 Proper cutting board care will ensure a long life for your board. 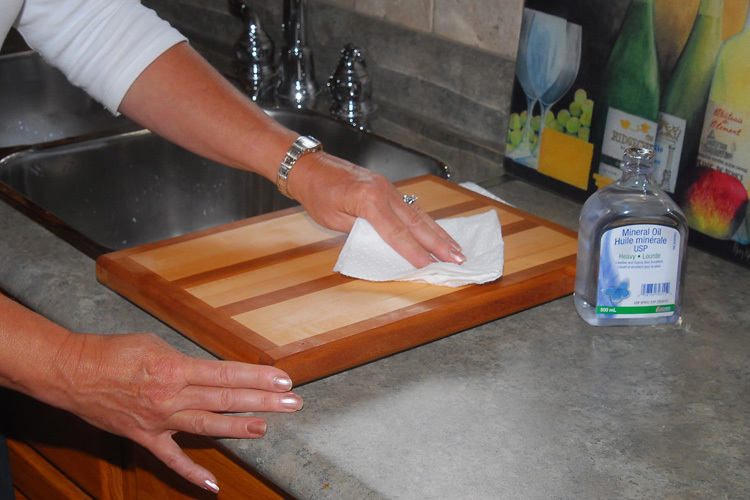 After use, clean with warm, soapy water. 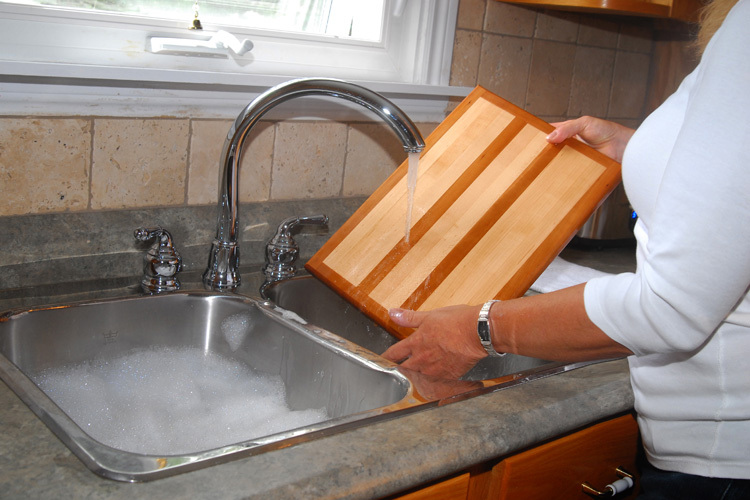 Dry immediately. 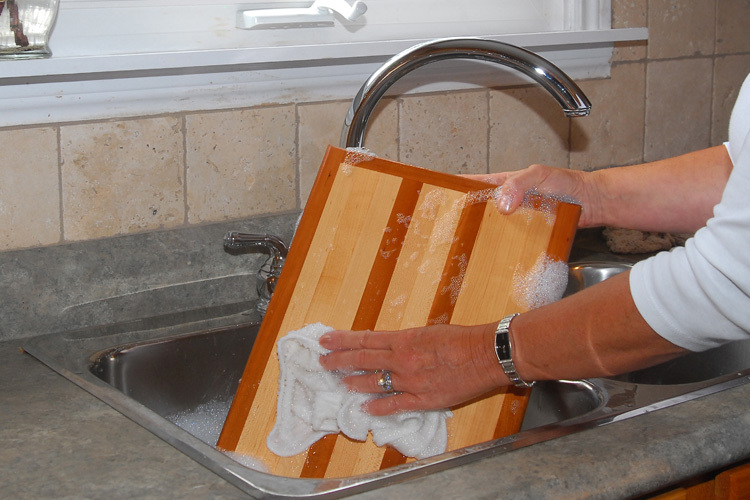 Do not soak your cutting board in water or place it in the dishwasher. 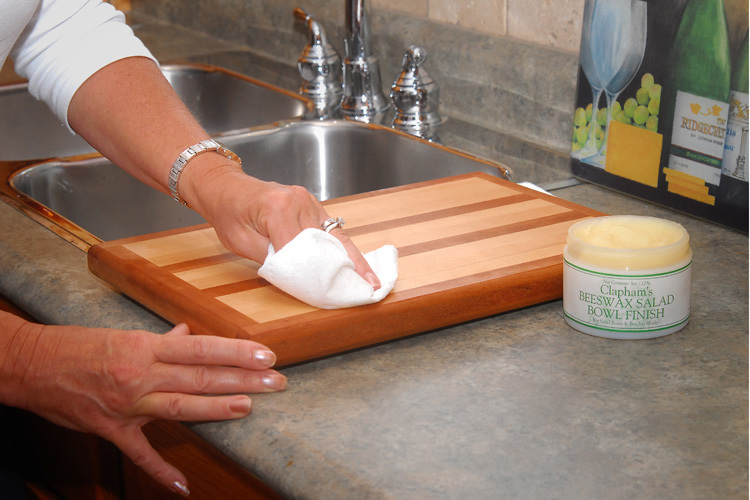 Cutting boards should be treated with mineral oil 2 to 3 times per month, depending on amount of use. 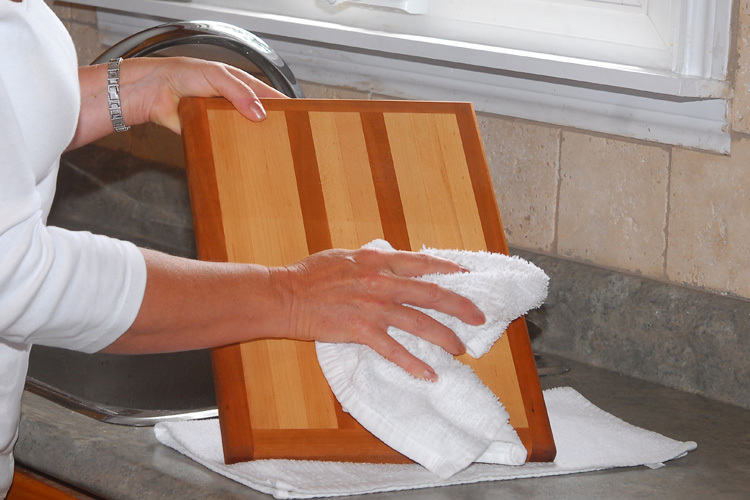 If your wooden cutting board retains the scent or stain of food, rub it down with a lemon sliced in half.